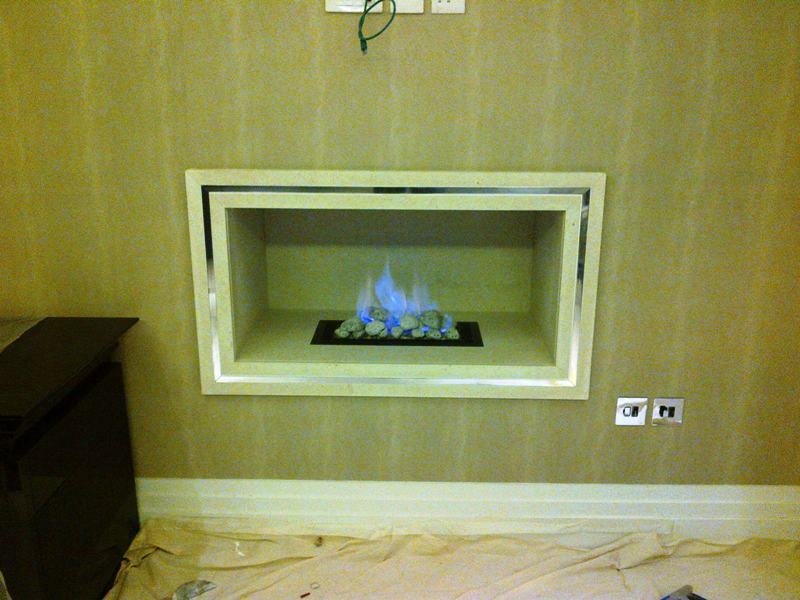 Instructed by Hillhouse Interiors, this limestone hole in the wall fireplace was the second of four fireplaces installed in this recently built house. 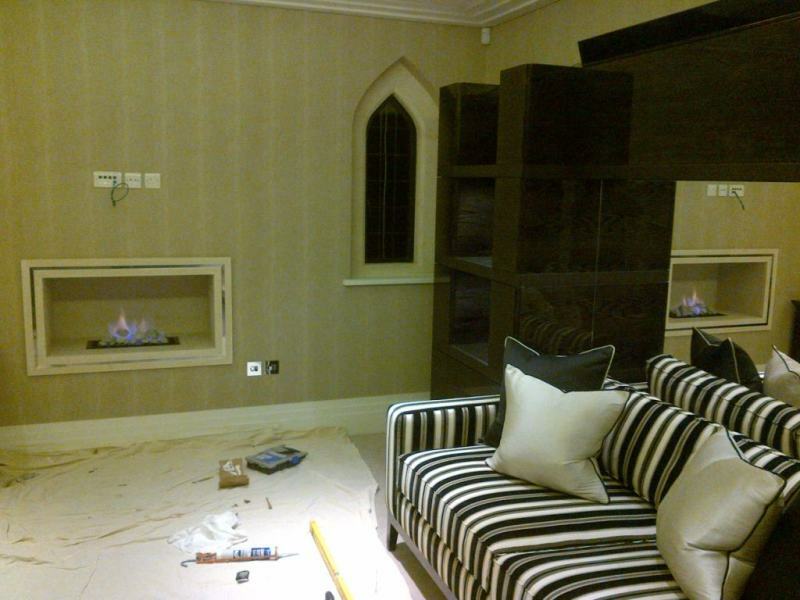 The client required a fireplace for study area. The design chosen included the ‘classic’ metal inlay trim design to form a stunning frame. 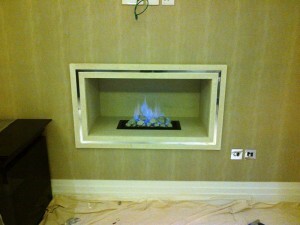 In addition, we installed a pebble gas fire with remote control. 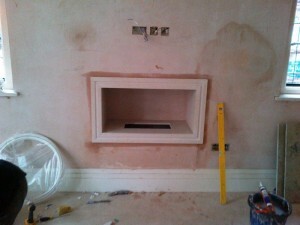 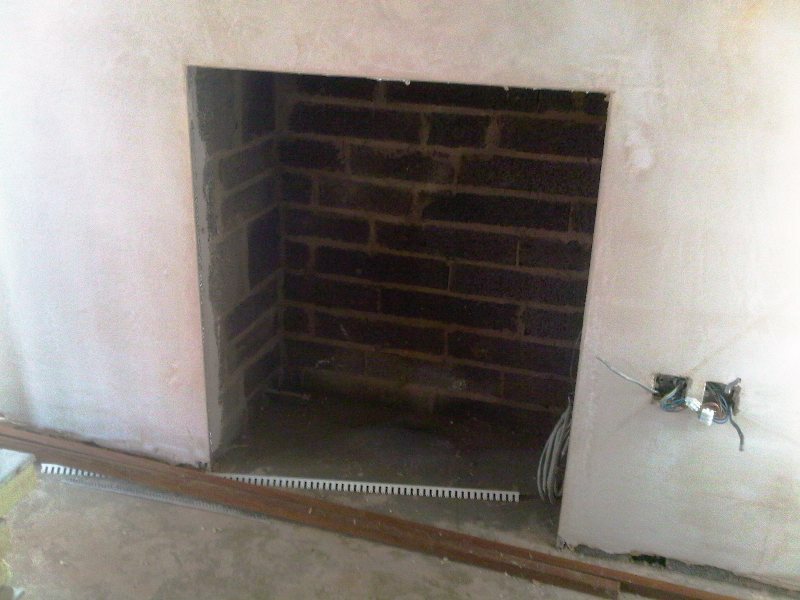 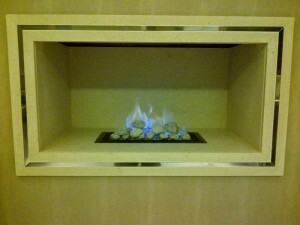 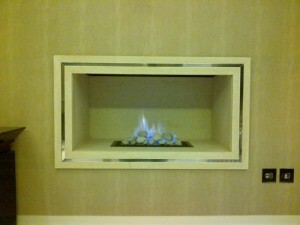 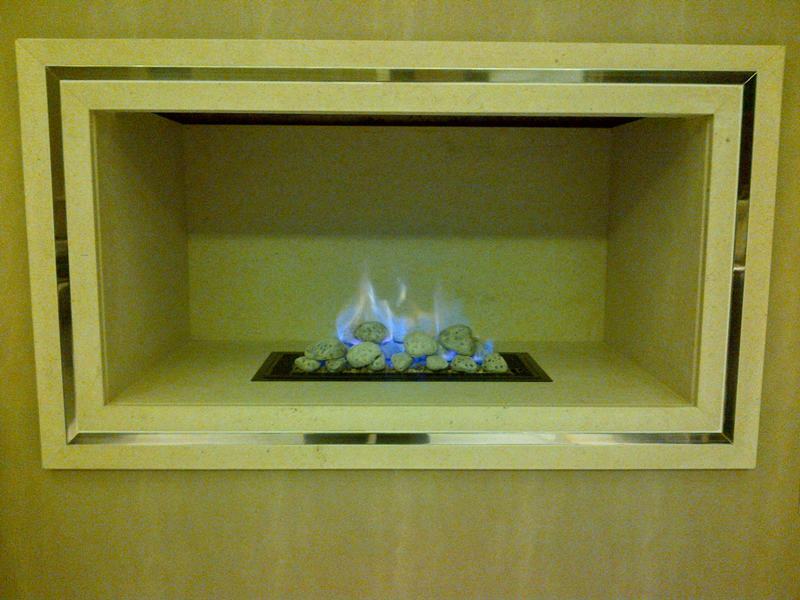 Finally, contact The Billington Partnership if you would like to install a similar fireplace.